Special Containment Procedures: Currently, four (4) instances of SCP-235 have been recovered. All instances are to be kept in a secure storage locker within Reliquary Research and Containment Site-76. Authorization of two (2) Clearance Level 2 staff is required to remove an instance of SCP-235 from storage for research and testing purposes. SCP-235-4 has no label and contains a song that has not been identified. The tune has no lyrics, and is a slow, mournful dirge. 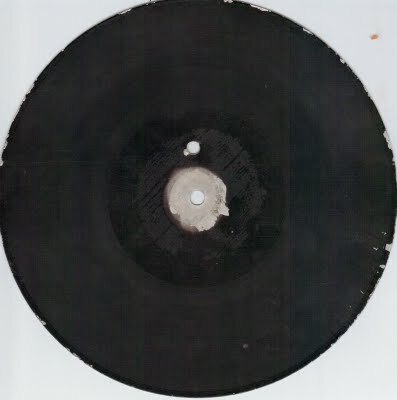 Each instance of SCP-235 creates an identical phenomenon when played at speeds between 77 and 79 rpm: all objects within a certain distance of the recording (correlated with the volume at which it plays) appear to freeze in place whenever the record "skips", or is unable to play a section of the recording. This "freeze" lasts for a set duration, approximately 1█ times the amount of time skipped. Those affected do not perceive the freeze and will continue as they were before it began unless outside stimulus is introduced to alert them to the gap in time. During the freeze, all motion in the affected area stops completely: objects thrown or falling will remain in mid-air, individuals do not breathe or blink, and even chemical reactions such as fire will simply pause in a manner visually similar to pausing a movie. During this time, any individual outside the range of effect, hereby known as an observer, may enter the area and interact with affected objects. Any object or individual willfully contacted (either directly or via another object) by an observer will resume normal behavior: that is, objects will fall, individuals will begin moving, breathing, and thinking, and chemical reactions will resume. All others remain frozen as before until either touched by an observer or the effect ends. This "unfreezing" effect appears to be entirely subjective; only objects that the observer touches or influences intentionally will resume normal activity. Common phenomena such as rain and wind will not have any effect on the area and will behave as though all objects and individuals in the affected area are rigid and non-absorbent. Instances of SCP-235 and the devices playing them cannot be interacted with during a freeze. All forces, up to and including plastic explosives, have proven unable to affect either device while in this state. Neither copies nor recordings of SCP-235 exhibit any of the anomalous effects displayed by SCP-235. It is believed that the effects of SCP-235 are caused by an anomaly specific to the records themselves and is not attributable to the contents of the records. SCP-235-1 was found in 194█. It was discovered atop a record player, found at the scene of the murder of [REDACTED], who was at the time president of the [REDACTED] Corporation. SCP-235-2 was found still spinning at a wedding between [DATA EXPUNGED]. Both bride and groom were found murdered by single gunshot wounds to the head with no witnesses, despite both individuals being discovered dead on the dance floor at the reception. SCP-235-3 was found following reports of a "time traveling tune", at the time in the hands of several college students (who were administered Class B amnestics and released). SCP-235-4 was discovered first hand by Foundation agents investigating █████ ██████, believed to be a member of [REDACTED]. Agents discovered him dead of an apparent self-inflicted gunshot wound. On his desk was SCP-235-4, with a note reading, "This one has served us well but is nearly full. You know what to do." Addendum 235-001: An additional anomalous property was discovered while Dr. ██████ was attempting to discern the properties of SCP-235's effect. Dr. ██████ ordered a D-class under the influence of SCP-235 shot and killed from a distance. While this in and of itself produced little useful data, it was noted on the next play-through that the record skipped in a location where it had previously played smoothly. Further testing confirmed that each time an individual dies while affected by SCP-235, the instance that produced the effect is damaged slightly, producing another section of the song that is likely to skip. Multiple deaths during a single skip appear to correlate with the new skip being longer in duration, but a consistent pattern has not emerged.